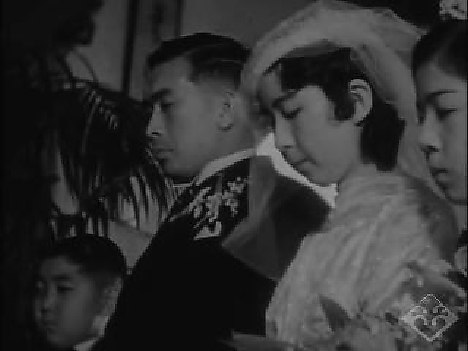 Color and b&w; footage of Yamada wedding and a reception at the Kawafuku restaurant in Los Angeles, California, ca. 1930s-1960s. Includes footage of wedding ceremony with opening of presents, wedding procession, san-san-kudo (3 x 3 sake drinking), picture taking, leaving church, reception at Kawafuku restaurant (17:35). Credits: Yamada Family Collection, Gift of Tsuneko Yamada, Japanese American National Museum (2005.104.1). Preserved and made accessible in part by a grant from the National Film Preservation Foundation. HNRC — Atualizado em Jul 25 2016 2:28 p.m.